Item number 1018/51 from the MOA: University of British Columbia. 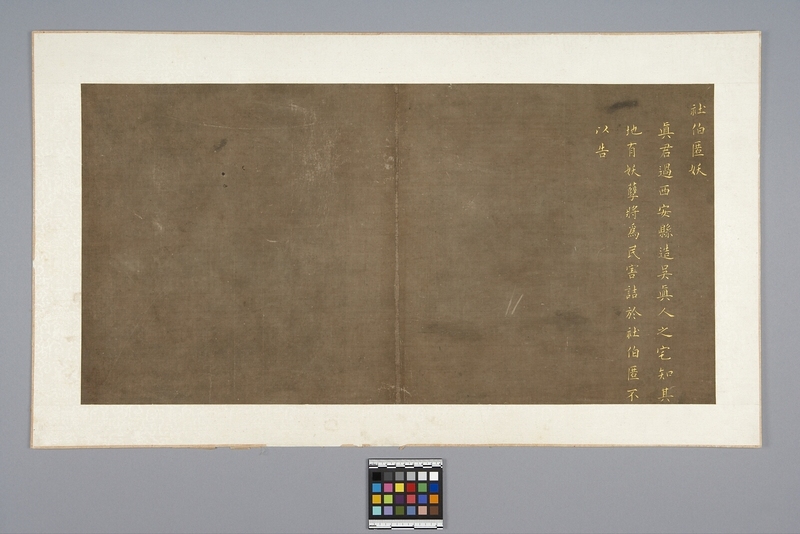 Daoist album leaf. Gold painted Chinese calligraphy in four columns on a piece of brown silk that has been mounted on off-white damask-patterned silk on paper. The text relates to Xu Xun and the depiction of the senior tutelary deity concealing an aberration.